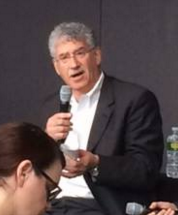 CRN's Jim Alkon at BAA session in New York. Marketers must understand what makes Millennials tick and then properly tailor their messaging to reflect those tendencies and behaviors. That was the message delivered by four panelists, including CRN International's head of marketing, at a Brand Activation Association event last week in New York. Citing a recent CRN study, Alkon noted that Millennials prefer messaging in the form of custom content that either entertains and informs. Brands that provide this will be looked upon, according to the Millennial respondents, as more favorable candidates for purchase consideration. The study also noted that Millennials, collaborative buyers by their nature, put much value in testimonials and endorsements from peers, and others who display similar behaviors and attributes. Perhaps the most misunderstood finding was that traditional spot ads, the most common form of messaging on the radio, was one of the least popular formats to draw in Millennials. The session was moderated by Alfredo Lomeli, on-air anchor at ESPN Deportes. CRN International is a radio marketing company with experience in not only planning and buying audio platforms, primarily radio, but in pioneering new strategies and approaches that give clients significant competitive advantages. Marketing solutions are based on a combination of art, science, history, intuition, market intelligence, and—most importantly—the business objectives of clients, which include some of the world’s most well-known brands. The company is headquartered in Hamden, CT, with offices in New York, Minneapolis, Detroit, and Hershey, PA.